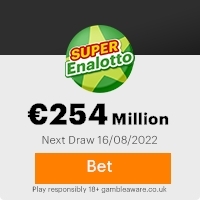 We are pleased to inform you of the result of the Spanish Millions Loteria Winners International E-mail programs held on September 17, 2007 and result where release on September 21, 2007 Your E-mail address attached to ticket number 653-908-321-675 with serial main number 345-790-241-671 drew lucky star numbers 34-32-90-43-32 which consequently won in the 2ND category, you have therefore been approved for a lump sum pay out of One Million Five Hundred and Fifty Thousand Euros (?1.550,000.00) Euros CONGRATULATIONS!!!. Previous: Your E-mail address: s ... cted.Fresh ScamsNext: Win Notification-Conta ... gent. This Email with the Subject "CLAIM YOUR EMAIL AWARD IN 2007 SPANISH LOTERIA" was received in one of Scamdex's honeypot email accounts on Fri, 12 Oct 2007 04:18:22 -0700 and has been classified as a Generic Scam Email. The sender shows as Spanish Team <spanish.lotto@web.de>, although that address was probably spoofed. We recommend that you do not attempt to contact any persons or organizations referenced in this email, as you may expose yourself to scammers and, at the very least, you will be added to their email address lists for spam purposes.